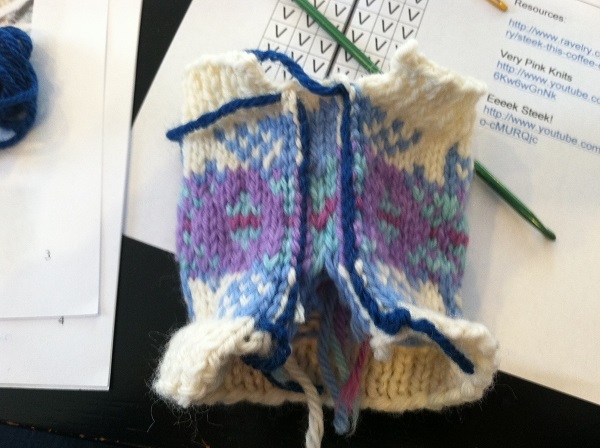 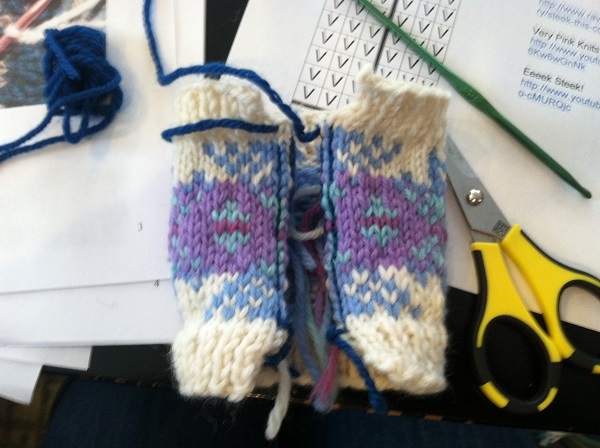 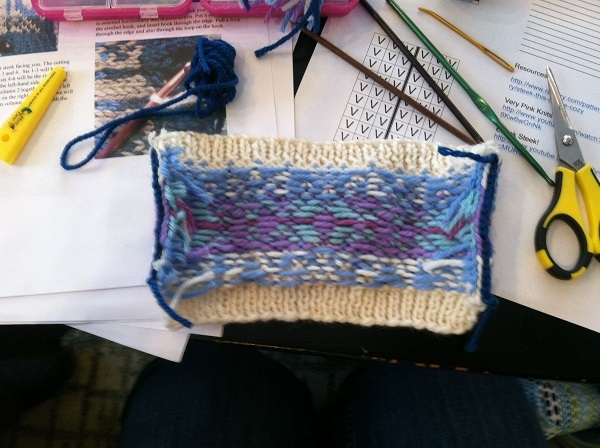 I recently took a workshop at my local yarn shop, The Spinning Room , to learn how to steek my knitting. 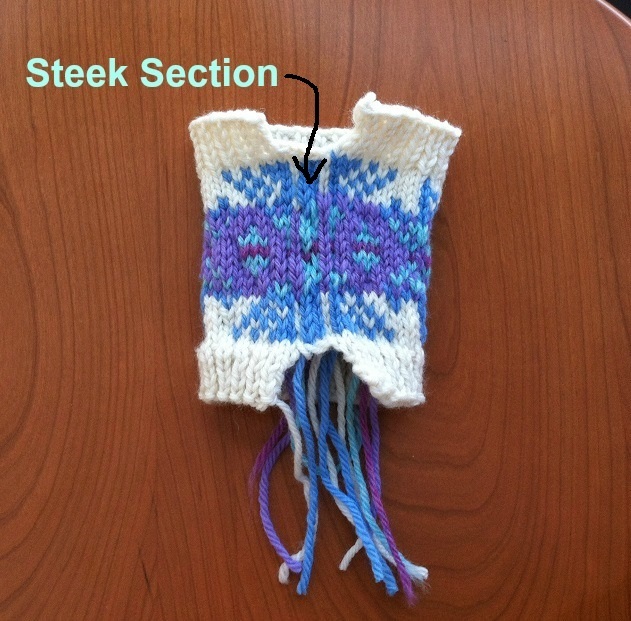 Steeking is a method of cutting your knitting so you can add a button band or a zipper to your knitting. 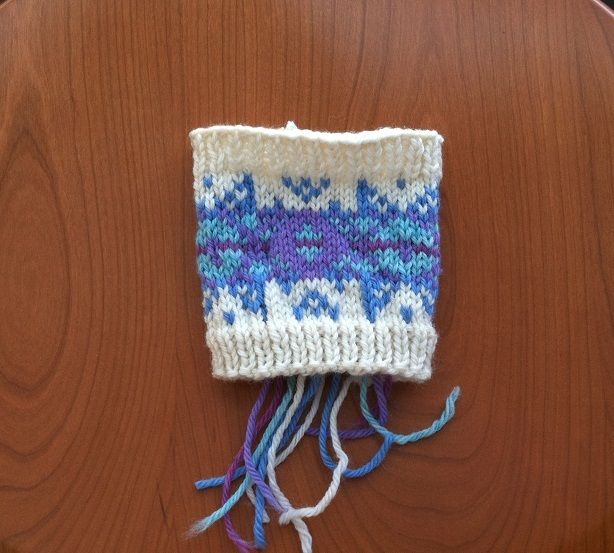 Typically this is done with fair isle knitting (knitting with two colors in the same row to make a pattern) since fair isle knitting is very difficult to knit when you are not knitting in the round. 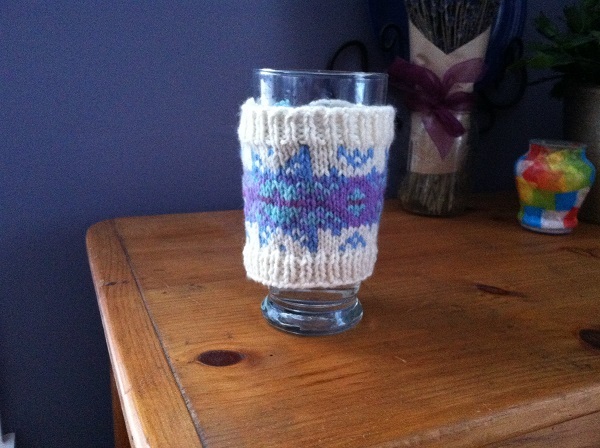 Working a small piece like this cup cozy is the perfect way to practice this technique, since who wants to knit a whole sweater, only to mess it up at the end by cutting it and having it all unravel? 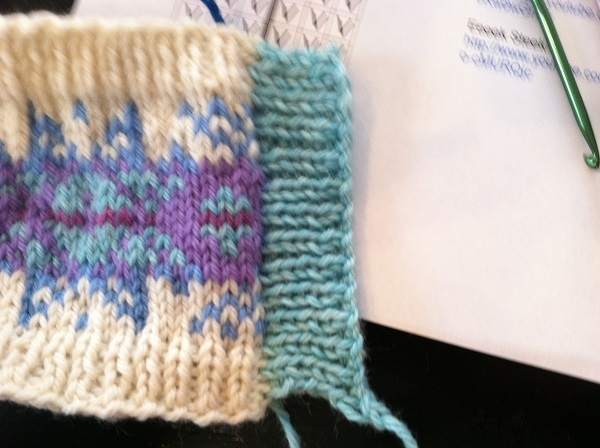 This being my first stab (ha ha) at steeking, I would have picked up another stitch or two at the edges for the buttonband so it would be more even with the edge of the cozy. 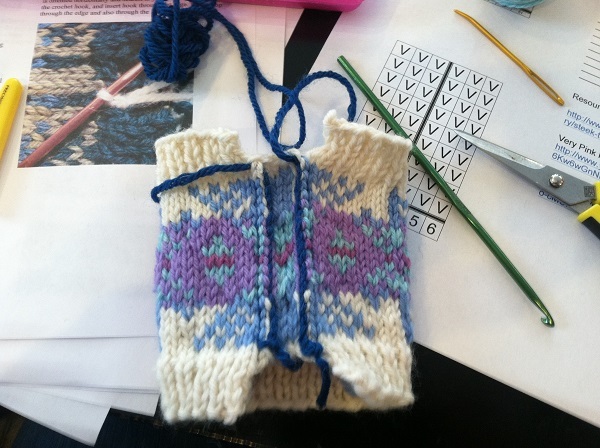 Overall, an excellent way to learn how to steek and now I’m on the hunt for a cardigan pattern to steek! 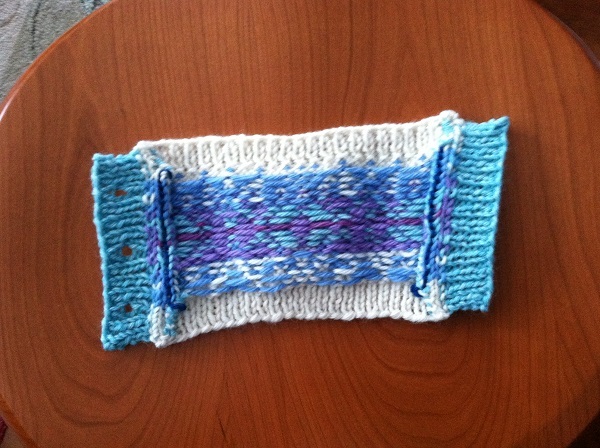 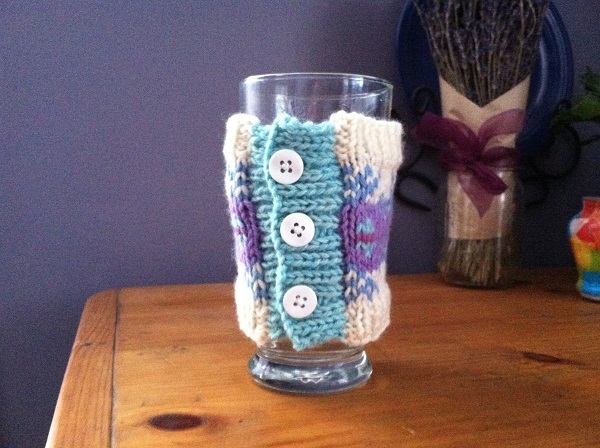 Posted in Uncategorized and tagged steek this coffee cozy, steeking on March 10, 2014 by lizytish.